This was a good story, my only problem with it was the way our leading lady, Jane Willoughby was portrayed. Jane and Chance McGovern were high school sweetheart, before Chance very callously broke her heart. 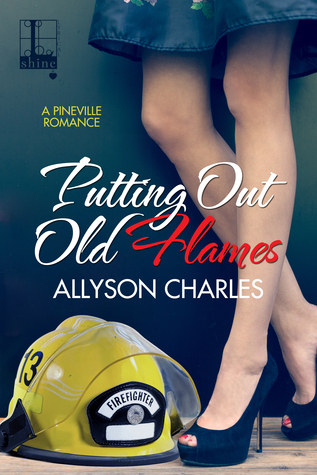 The story begins 10 years later and in those 10 years Chance has been fire chief, had a son, been married and in the process of divorce, while Jane is portrayed as having spent those 10 years so hung up on Chance that she has not had a real, solid relationship since. Now Jane and Chance see each other again and Jane is all “OMG I never stopped loving him and now he’s back in town”, while Chance is all “I know I messed up, I was a young stupid kid, but she’s always been the one”. I liked that they both got a second chance, but I would have loved to see that in those 10 years Jane had an actual life.